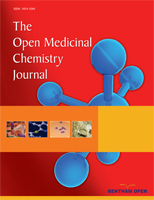 Investigation of in vitro hydroxyl radical scavenging (antioxidant) effect 4-methoxychalcone (1a) and its cyclic analogues (2a-4a), as well as their hydroxyl substituted counterparts (1b-4b) was performed by means of the Fenton-reaction initiated deoxyribose degradation assay in short term (10 minute) and long term (240 minute) experiments. The kinetic deoxyribose method provides possibility to investigate not only the short term antioxidant (hydroxyl radical scavenger) effect but the possible late prooxidant effect of the tested substances as well. In the short term studies compounds 2a, 2b and 4b showed the most pronounced antioxidant effect. The long-term studies showed that the antioxidant activity of all the tested compounds but 4a can be well characterized by the short time determination of the thiobarbituric acid (TBA)-reactive substances (TBARS). Experiments in the presence of ethylenediaminetetraacetic acid (EDTA) resulted in a substantially reduced degradation of deoxyribose in each incubation. Similar to the respective experiment performed without EDTA, the TBARS level of the incubations with 4a showed an increase over the 60-120 minute period. The results demonstrated that complex forming activities that can modify microspeciation and reactivity of iron ions can lead to different short term antioxidant efficiency of the tested substances. Results of the long term incubations indicated that chemical transformation of the tested substances can result formation of derivatives that can initiate further redox activities under the experimental conditions. Keywords: Chalcones, cyclic chalcone analogues, fenton-reaction, deoxyribose assay, prooxidant effect. © Perjési and Rozmer; Licensee Bentham Open.